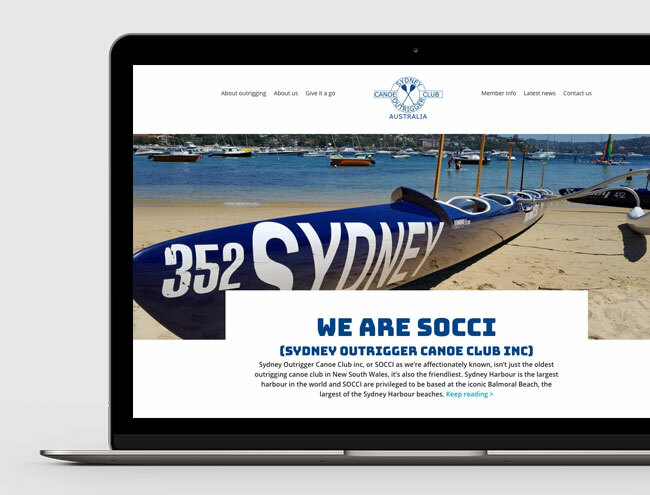 SOCCI (Sydney Outrigger Canoe Club Inc) are the oldest outrigger canoe club in NSW, but they needed a completely revamped website. Their old site was static and unresponsive. 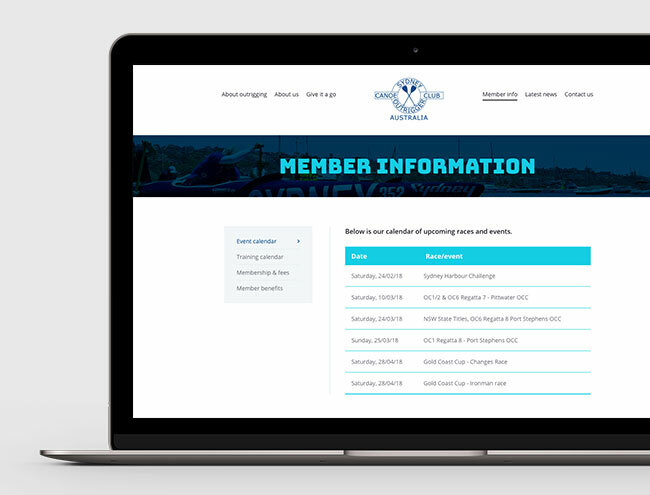 They needed a modern, responsive and engaging site that would generate awareness of their club whilst reflecting their culture. Most sports clubs have fairly basic websites. SOCCI wanted to stand out. We spent a lot of time getting to understand their club, culture and the sport of outrigging so that we could capture the essence of all of these elements and incorporate them into the design of the website. We created a site that was visually appealing to really highlight the attractions of outrigging and SOCCI. We also focussed heavily on the navigation of the site, ensuring the CX design created an intuitive user journey for the different personas the site was aimed at. Getting found and attracting new members and sponsors is pivotal for the survival of any sports or social club. As well building the site around carefully constructed and searchable content, we used a widget to embed the club’s Instagram feed into the homepage of the site. We also linked through to other social media channels, plus created a content plan and calendar for SOCCI to ensure their rankings and searchability remained high after the site launch. In the end, we liked the club so much we ended up sponsoring one of their canoes and took it out for its inaugural paddle. 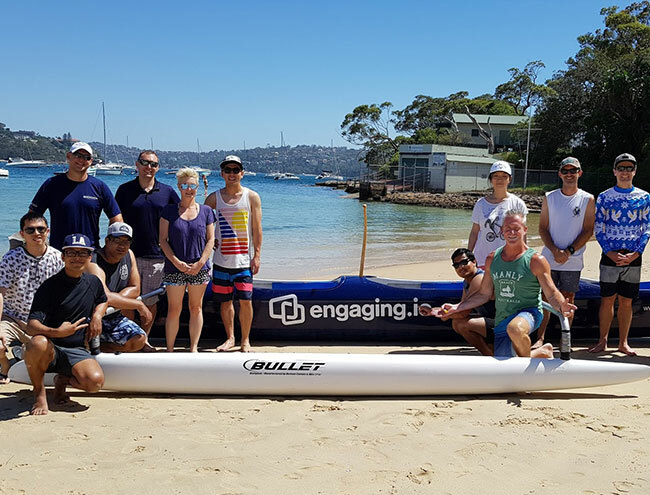 Check out the new SOCCI website at sydneyoutrigger.com.au and keep a look out for the Engaging.io outrigger canoe in Sydney Harbour. Beyond our wildest expectations. Our new club site not only looks really professional and captures the essence of our club and culture, but it loads really quickly and works great on mobile. We've had a huge uplift in both the number of new paddlers contacting us and our social media presence.